WordPress conversion services are making a lot of noise lately. Webmasters are looking for professionals to convert their Drupal, Joomla or HTML websites to WordPress. As a matter of fact, Drupal, WordPress, and Joomla are some of the popular content management systems that help you create fully-functional and easily manageable websites. But the popularity of WordPress brings it all down to building websites using WordPress. Drupal to WordPress conversion helps you to preserve the flexibility and power of Drupal while allowing you to enjoy the usability and simplicity of WordPress. Today, in this article, we are going to share the basics of this conversion to help you build WordPress sites using similar workflow and techniques as that of Drupal. Before we dive into the basics of this conversion, let’s see why is it necessary for you to make the move and why to choose WordPress for this conversion. Why Convert Drupal Site into WordPress? There is no denying the fact that Drupal is a great CMS. But unfortunately, it is not designed for non-technical users and bloggers. Drupal has a very steep learning curve which means it takes a lot of time and efforts to get accustomed with the functionality of this content management system. It also makes it difficult for non-technical users to build sites with Drupal. Usually, a majority of bloggers and webmasters get their sites developed by highly-skilled Drupal developers. But when it comes to maintaining those Drupal based websites, webmasters get stuck in the maze of the perplexing technical depth. The technical knowledge requires setting up and modify Drupal website is what that terrifies a lot of webmasters. This is certainly a good enough reason to perform this conversion. You probably be wondering why WordPress, why not any other content management system. After all, there are many content management systems available out there. This indeed is true but the flexibility and versatility WordPress offer has no comparison. WordPress is extremely easy to use and manage. Moreover, the learning curve with WordPress is extremely reasonable which makes it a lot easier for non-technical bloggers and webmasters to maintain their websites. Now that you know why Drupal to WordPress, it’s time to actually get into the real action. 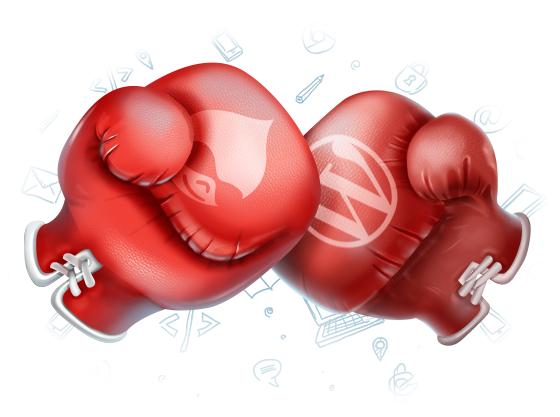 Technically, Drupal and WordPress are quite similar. Let’s compare some of the popular features of these two content management systems. Basic Content Elements: In Drupal, these content elements are known as Nodes whereas, in WordPress, these are called Posts.WordPress was launched as a blogging platforms, therefore, everything was recognized as posts. However, in the later versions of WordPress, custom types, and pages were added for better clarification and understanding. The content of these posts is saved in post table which is same as that of Drupal’s Nodes table. Blocks: In Drupal, these blocks are known as Blocks and in WordPress, these blocks are known as Widgets. In WP, themes create widgets areas where users can drag and drop extra functionality and features for the website. Menus: The name, as well as the functionality of menus are completely same in both the content management system. Both Drupal and WordPress content management systems come with their core features and functionality. However, both the systems also allow you to extend the basic functionality of the website in the form of Modules and Plugins. 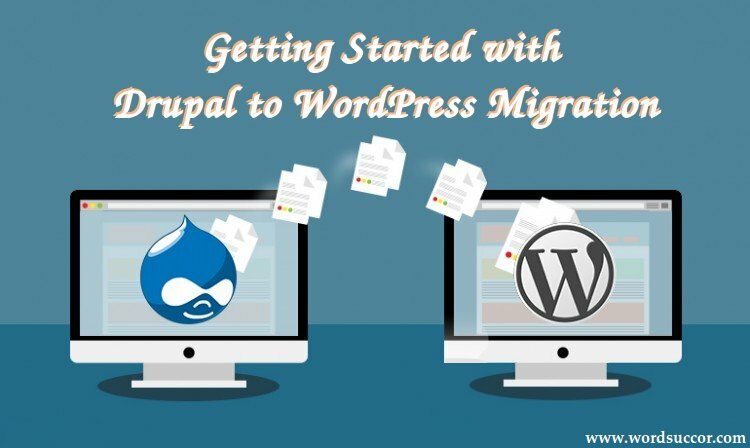 When migrating your Drupal site to WordPress, there are certain points to keep into account. Though there are various ways of moving content from WordPress to Drupal, the vice-versa certainly requires a lot of efforts on your part. You probably see a lot of articles explaining how to move your content from Drupal to WP, but the majority of them are based on database editing, which you may find difficult if you are not a tech-savvy person. But if not, don’t worry, we have an easy yet powerful way to make this move. RSS Feed is the solution for you. You can create an RSS file with the help of feed view on Drupal and then employ the multi-importer to connect it to a post. Moving images to WordPress is yet another biggest challenge of Drupal to WordPress conversion. First off, copy all the images in one folder which can be easily pasted in the WordPress website. Once you have copied the folder in the WordPress, you can use Add From Server plugin to integrate them into your website. But there is a catch. All the images now have the wrong links and whenever you show them on your website, they would not load. So, now you have to manually correct the paths of these images from your PHPMyAdmin. Search engine optimization is one of the most important factors to consider when migrating your website from one CMS to another since you would not want to lose your SEO rankings after the conversion. For this, you need to match your old URLs with the new ones which can be done through the .htaccess file. If you were running a successful online blog, then you must be having many comments on your blog. Comments are important for a blog since it makes new visitors know how much your blog posts are being liked by the other users. Therefore, you cannot just chunk them out. You need to move comments to your WordPress website as well. Fortunately, there are various ways to migrate your comments to your new site. The best way by far is by installing the Disqus plugin. Disqus is a great commenting system that allows you to sync your website comments with Disqus API. The major problem of converting Drupal website to WordPress site is that Drupal chunks out all the small or stop words such as of, for, in and more, which WordPress uses as it is. You can build a set of 301 redirects that ensure that users can still access your new blog through old URLs. The fact of the matter is WordPress offers a wide range of themes and plugins to extend the functionality of your website. However, unlike Drupal, some of the themes and plugins are paid, which means you may have to pay a small fee to get full access to these extensions that WordPress has to offer. Drupal to WordPress conversion isn’t a child’s play. Therefore, only do-it-yourself if you know exactly what you are doing. Otherwise, you can always hire a professional company to perform this conversion for you at reasonable rates and in a matter of few days.